Nagoya castle was the plan of the day, but I started with a very early morning, got up at 06:15 a.m. that is a time that’s not a normal time for me ever. However, I do get that some consider that a standard time. Let’s say workhorses and luxury horses. 😉 At 07:15 a.m. I was ready for breakfast. Was so in the mood for a boiled egg but when I put my spoon into it I saw the soft egg white, the horror. Paid the hotel bill, got my bags and hopped on the 08:10 train to arrive at Utsunomiya forty-five minutes later. Thankfully I noticed in time that I was waiting for my next train on the wrong platform, with a minute to spare I got on the right train for Tokyo. An hour later I arrived at well-known territory Tokyo station to catch the last train for the day. Tokyo – Nagoya. Was so disappointed, the train left five minutes late. I was so impressed with everything running on time before. 😉 According to the information on the back of the seat in front of me, there was a smoking room in carriage number 15. Had to go to the toilet anyway in carriage number 13 so I checked it out. Who knows could have been old information, there was a smoking room indeed. Not the best picture ever to be honest. 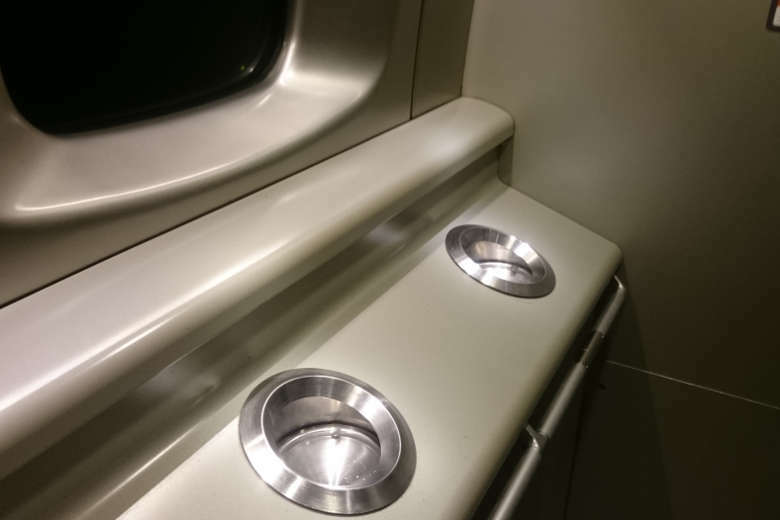 That the train had standard toilets well that was to be expected. That they also had urinals and separate washing tables came as a surprise to me. Have to say the morning went smooth and easy. Arrived at the hotel quickly since I booked one close to the station. Checked in and stored my backpack. Was already the start of the afternoon and still wanted to visit Nagoya Castle. 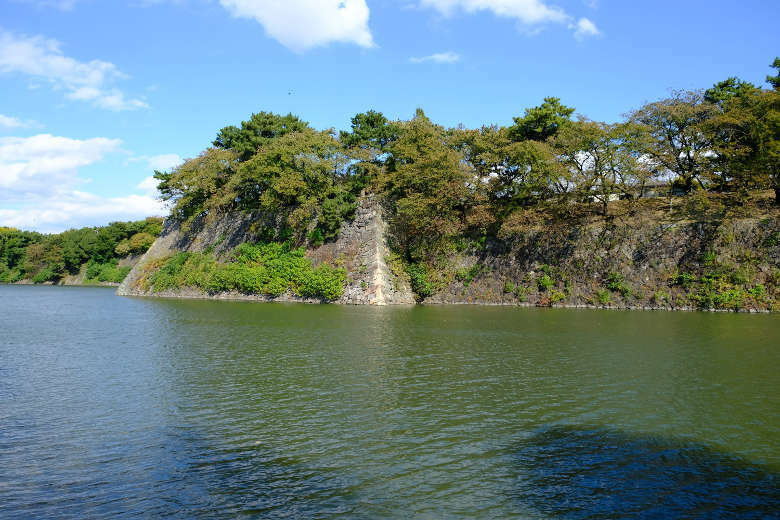 After a 2.5 kilometer walk, I arrived at Nagoya Castle. After I purchased my ticket and walked in, an older Japanese lady walked up to me. She asked me if she could be my guide, for free. Since I didn’t have additional plans for the day and had plenty of time, why not. She told me the tour would take about an hour. Then she quickly apologized for her bad English. Her English was not bad at all, and I told her that, I understood her perfectly. 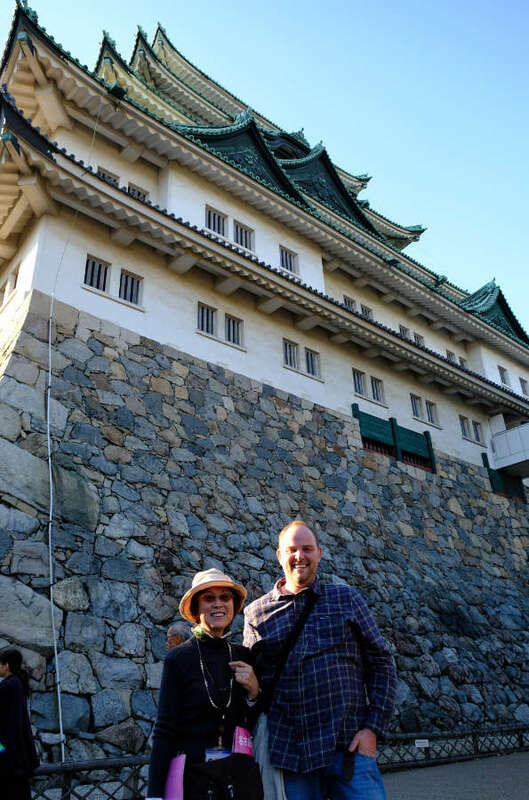 She told me so much about Nagoya Castle; I only remember small bits now. That’s fine, the experience was fantastic. 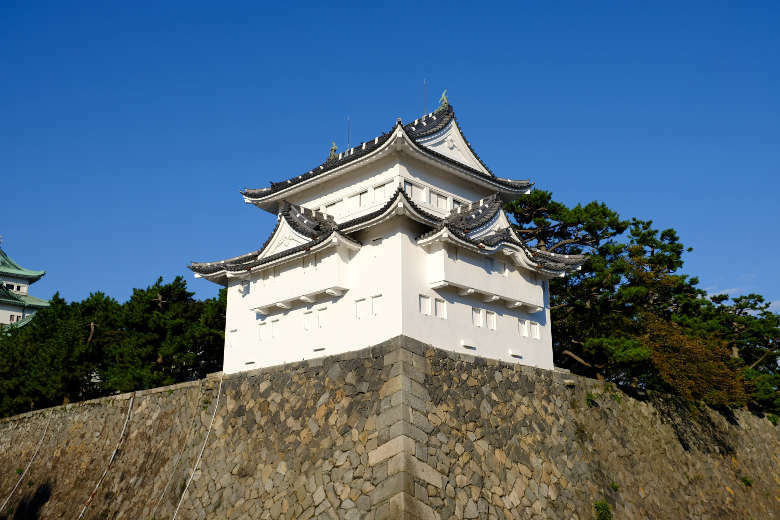 What I do remember is that Nagoya Castle burnt down during the second world war. Only three buildings and the entrance gate were left standing. See this picture for one of the original three buildings that survived the flames. The remainder of the buildings were rebuilt later, including the castle itself that is made out of concrete now. Still, a beautiful and impressive building to see. 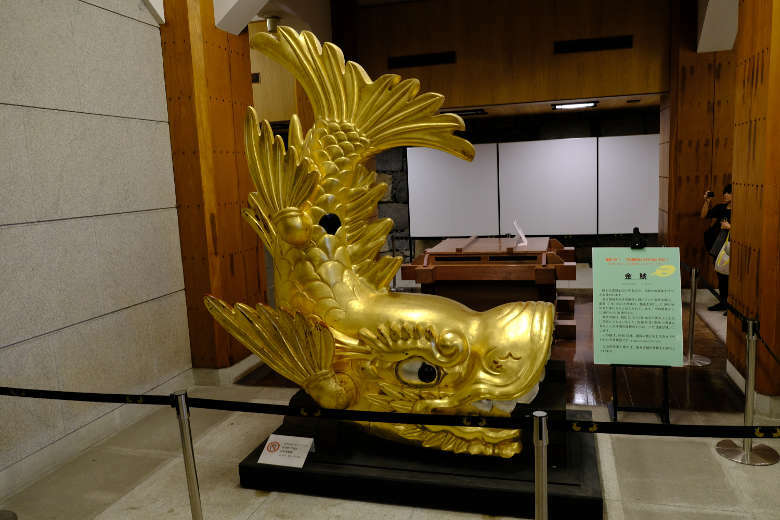 On top of Nagoya Castle are two golden statues, representing a fantasy animal: half fish, half dragon. See picture. We walked from floor to floor in the castle wich is totally different than it used to be back in the days. It’s more a museum now about the castle and the surrounding area. I really enjoyed the company of this sweet Japanese lady, so kind and enthusiastic. 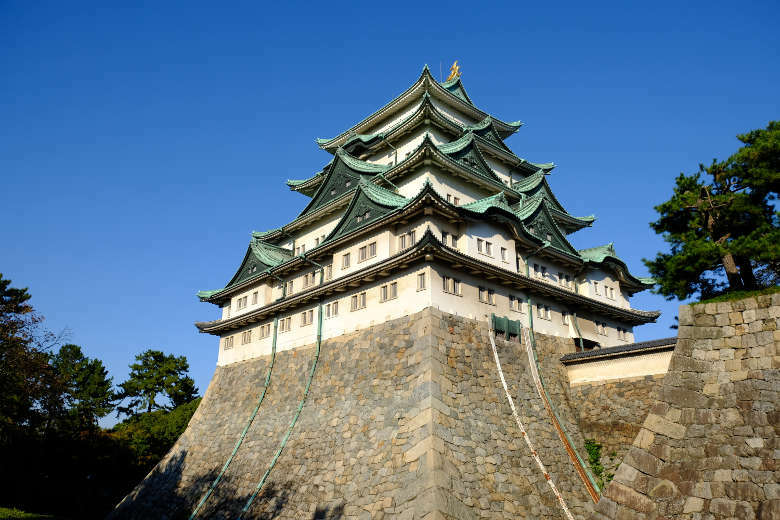 Obviously also a picture of Nagoya Castle. After saying goodbye I hopped on the bus to central station. Wondered around and ate a late lunch at 4 p.m. was hungry since I only had breakfast and that was at 7 a.m. When I arrived at my hotel room, I wanted to relax a little, however, while using my camera bag the zipper broke. Trust me I tried I really tried to fix it; it was a lost cause. I looked up a camera store online, and after a short walk, I arrived. I returned to my room with a new bag and a phone charger. Had been charging my phone on my laptop, so incredibly slow! It was best to buy a charger since a quick charge on the laptop was like three hours. 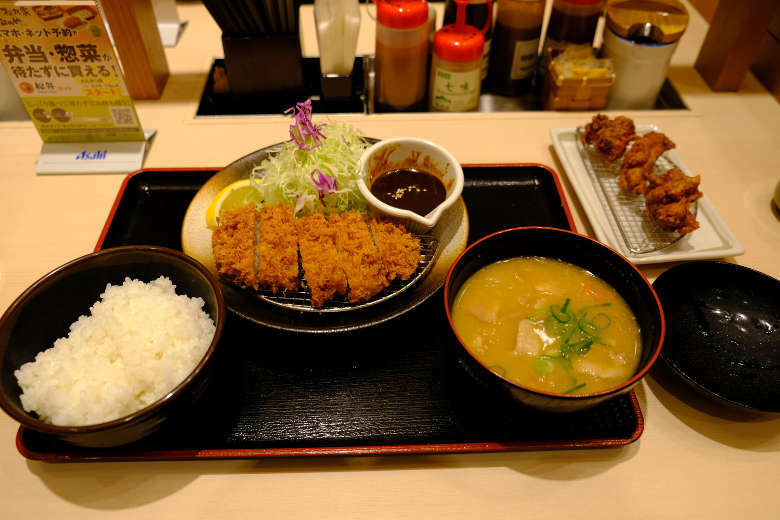 At night had a great dinner (Miso Katsu). 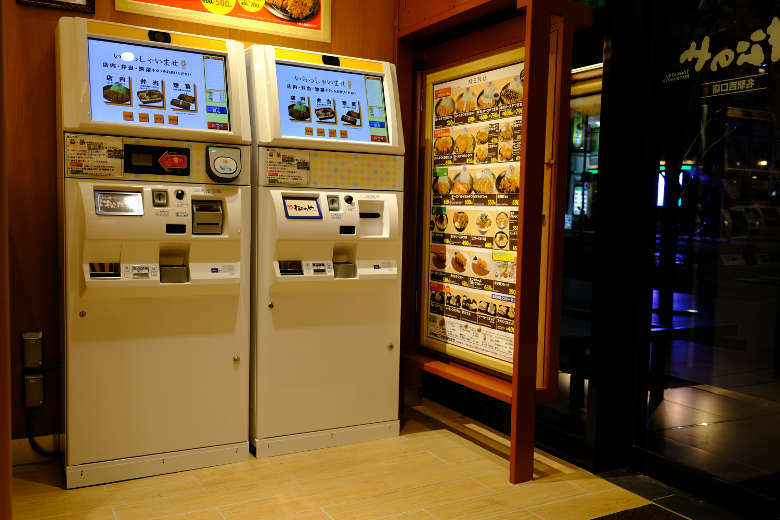 Had to order and pay my food on the computer at the entrance of the restaurant. Thank god it had English. My room was so warm that night, there was no air-conditioning, and the windows were locked. So the hotel left me no other choice then complain, it helped they unlocked the window. Maybe a bit noisy but the cold air was heavenly.